This Sunbaby Stroller Extra Washable seat cushion with Extra Wide Frame. 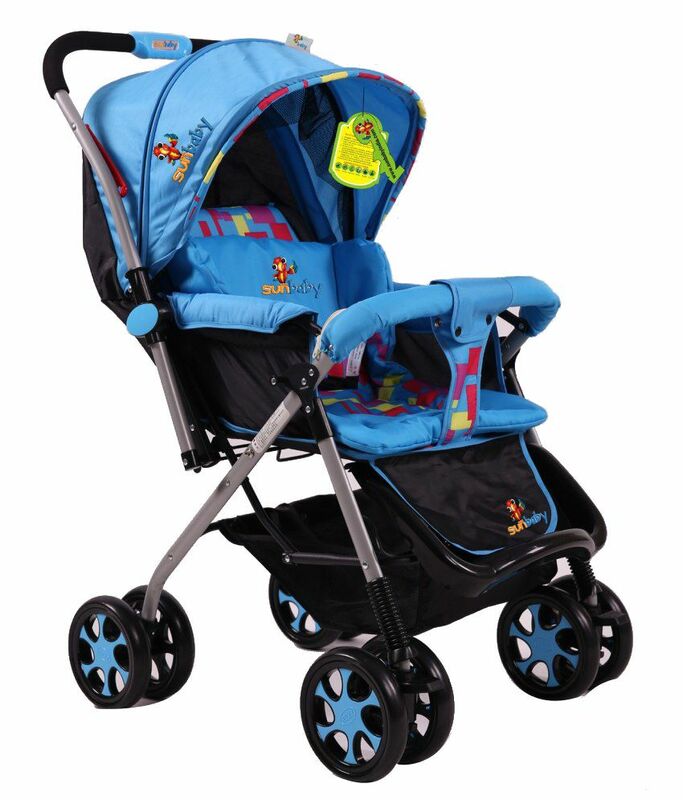 The perfect lightweight stroller with 3 reclining position to carry your little one easily and safely wherever you go. To ensure your child's safety it is equipped with safety harness. Equipped with footrest. 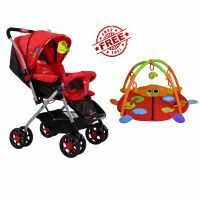 This Stroller Comes with reversible handle, Rear wheels with brakes and Lockable swivel front wheels. Easy one step folding Mosquito net to protect from insects and mosquito bites. To Recieve updates and possible rewards for Sunbaby SB-800A DLX (Blue) please sign in. To Recieve updates and possible rewards for Strollers & Prams please sign in.